Note that I'm using a watercooling setup. Wouldn't the total warm air production be much lower than using aircooling...? 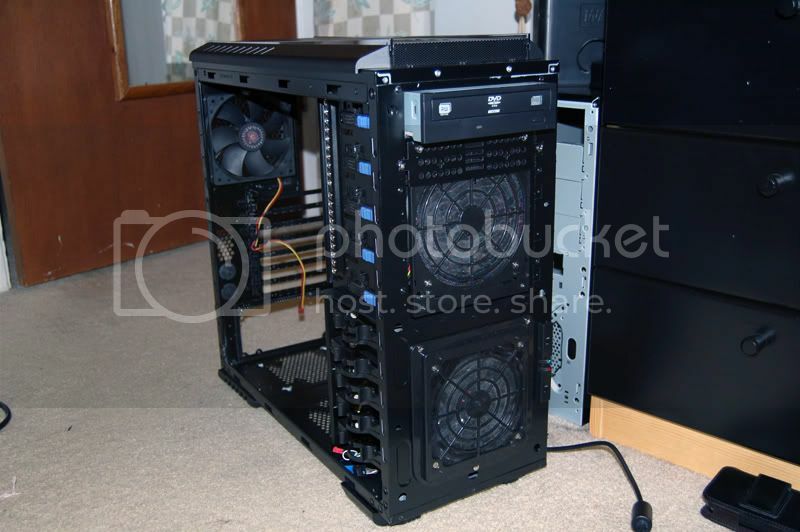 If we have two identical ( exactly the same ) computers ,just one of them aircooled and the other watercooled , why you think the that the total heat production of the watercooled PC is less ? I just changed the first top fan to exhaust....sounds strange but the cpu temp was raised by 2-4C. So basicly, the first fan as an inlet wasn't that bad at all. 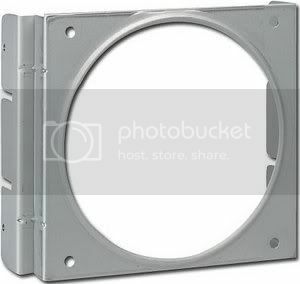 PS:How can i have a second fan(120mm) in front? Well, without getting into details, I prefer Negative pressure in any rig I build. One of the biggest things that needs to be checked whether you are of the Positive or negative school is to check your air flow for "dead spots". Positive airflow tends to produce more of these but either can. I take a Smoke producing item (Cigarette if you smoke, incense is you don't) and hold it alternately by each intake fan. All of my Cases have windows and leds so tracking the smoke through the case is pretty easy for me. Watch carefully for places that the smoke "sits" in or barely moves. Play with your fan orientation and placement until you get rid of any dead areas. Under the bottom GPU is a bad spot as is the top of the bay drive area. With negative pressure, you can also use the smoke to see where besides fan intakes you're pulling in air and adjust that as well with any number of materials used to "block or adjust free air entry into your rig..